We're gonna change our blog's format. 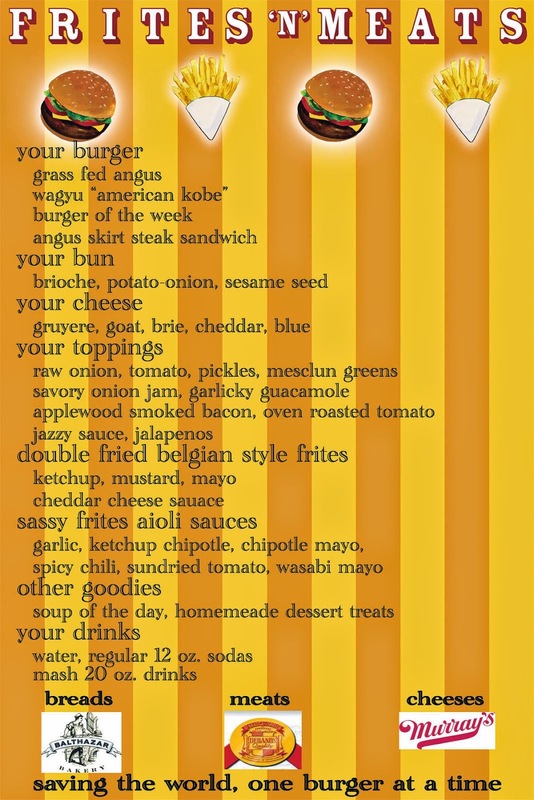 First we'll give you our weekly schedule, then the Burger of the Week, and then our musings, if we have any. Dinner - We need to find a new location. Theres a guy on the corner of Greenwich & Duane who has a chicken and rib joint, but more importantly, who has a son who's a Captain in the local NYPD Precinct. He's been making our life hell. Any dinner spot suggestions would be greatly appreciated. This week our Burger of the Week is the El Cubano!!! What's that you ask? We're also putting our killer Angus Skirt Steak Sandwich on the menu permanently. It's served on a Focaccia Ciabatta Hero Roll with whatever toppings you want to put on it. It's a huuuuggggeee sandwich and starts at only $8 (plus toppings). Thats about all. Please Tweet us with suggestions for Dinner locations. Hope all had a great weekend. How about that humidity? Whew. Felt like August got here a bit early, but then last night and now it feels like a wonderful early Autumn day. Very nice. Well enough of the meteoroligical forecasting. Lets get back to what we know best. Meat. We've been thinking recently what does the "Meats" in the Frites'N'Meats stand for? Well, it stands for Meat. Of that much we're certain. But does that meat have to come in a Burger form? Hmmmm. Now that's food for thought. So we fired up the top secret Frites'N'Meats Meat Lab and got to work. Meat was flyin' everywhere. But we came up with a couple of things. Some very nice things. Some things that we know youre going to loooooooooooovvvvvvvvvvvvveeeeeee!!!! What are those things, you ask. Well, you're gonna have to wait for that one. Can't tell you just yet. It'll probably take a week or so. But you are gonna loooooooovvvvvvveeeeee it. Did I already say that? Yes, yes I did. Well, its true. Stay tuned. We'll have it for you next week. That's about it for now. But keep thinking of all the wonderful meat treats we might be unveiling next week. Have a great week. Let Burger Love make it even better. Hope you all had a wonderful weekend! Considering that Friday was National Hamburger Day, Monday was Memorial Day & all four days were beautiful, this was a perfect weekend for grillin' & chillin' and we hope you did plenty of both!! !